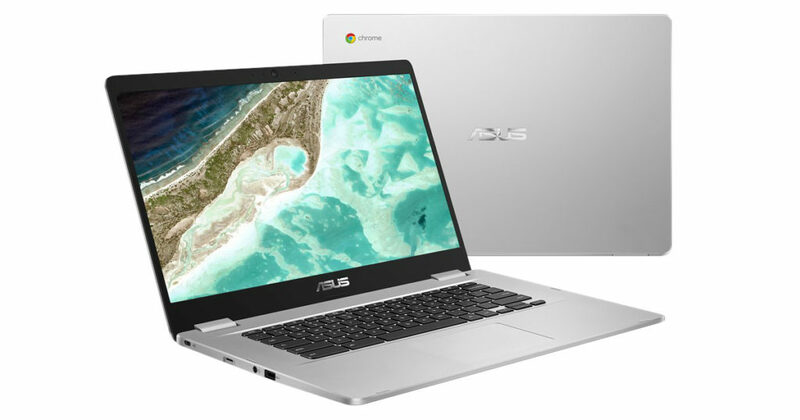 ASUS has revealed the price of its first 15-inch Chromebook – the C523. It is listed across retailers in the US for a starting price of $269.99. Although it is not yet available for purchase. Besides the new display size, Chromebook C523 is quite similar in specs to the previously launched Chromebooks such as the 12-inch C223 and the 14-inch C423. The precise 15.6-inch LED display of C523 offers up to Full HD resolution of 1920 x 1080 pixels with a screen refresh rate of 60Hz. The display is both anti-glare and comes with a touchscreen option. The bezels on the side are narrow and the according to ASUS the front panel achieves an 80 percent screen-to-body ratio, despite having prominent bezels on the top and bottom side. Regardless ASUS is marketing it as the ‘NanoEdge design’. The Chromebook C523 is powered by either the Intel Celeron dual-core N3350 processor or the Intel Pentium quad-core N4200 processor. You can choose the configuration that best suits you. Similarly, RAM and storage options are also more than one. The base variant gets 4GB LPDDR4 2400MHz SDRAM and goes up to a max 8GB setup. On the storage front, you can either opt for 32GB or 64GB. In terms of connectivity, it includes an SD card slot, headphone jack, and four USB ports (two Type-A USB 3.1 / two Type-C USB 3.0 with display and power delivery support). C523 supports dual-band 802.11ac Wi-Fi, Bluetooth 4.0 and includes an HD webcam. According to ASUS the Chromebook will offer up to 10 hours of battery life and it also got a 180-degree hinge. Weighing 1.7kg, the C523 is one of the few 15-inch Chromebooks out there and has enough bells and whistles to compete with similar offerings by Lenovo and Acer.